Get to grips with a compact, effective cooker. 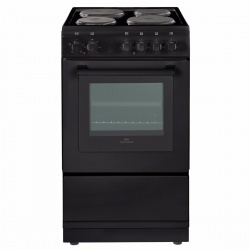 With theNewworld NW50ESBLK electric cooker, you get something affordable and efficient. 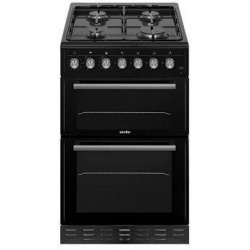 Coming in gloss black, it has a 4 plate electric hob and conventional oven, but it’s an A rated for energy usage. A truly impressive package, and remember, what you choose to cook is limited only by your imagination. 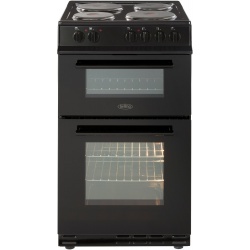 50cm electric single cavity cooker with solid plate hob. Features a specially-designed enamel interior that prevents food from fusing to the surface – allowing you to wipe away spills easily when cleaning. 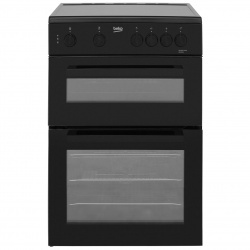 With a 60-litre main oven and a 31-litre top oven, this electric cooker from Beko also boasts a full-width variable grill in the top cavity. 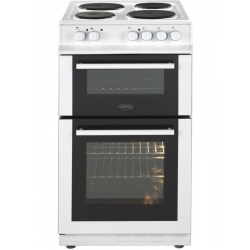 Even better, it also comes with a 4-zone sealed plate hob, complete with 2 Rapidlite elements to make frying and simmering much quicker than ever before. There's no need to worry about overcooking, either. Thanks to the glass doors and interior light, you can easily check on your food as it cooks without releasing heat. 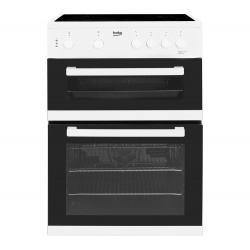 Finished with a diamond quality easy clean enamel interior, this oven makes maintenance quick and completely fuss-free. With an 'A' rating for energy, it might just save you some money too! 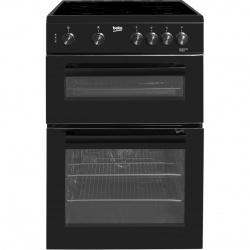 The FS50EFDO is an all electric cooker with a fan main oven, conventional oven and grill in the upper cavity and 4 sealed plate zones. The oven is easy to clean thanks to its ceramic surface and comes with 2 wire shelves. This Belling FSG50TCWLPG white cooker comes set for Natural Gas(NAT) or Liquefied petroleum gas(LPG). The main oven has catalytic liners. 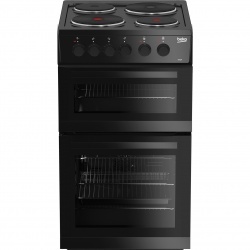 This Belling FSG50TCBLK black cooker comes set for Natural Gas(NAT) or Liquefied petroleum gas(LPG). 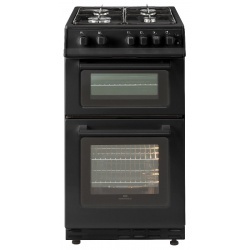 This double oven electric cooker has an A energy rating and comes with easy-clean features. The main oven is also a fan oven, helping to ensure your food is cooked evenly. With a 58L capacity fan oven, whether you're cooking for yourself or the whole family, cooking meals is made easy and effortless. Unlike older models, all beko cookers now have a full glass inner panel. By eliminating bumps and grooves where dirt easily accumulated It makes the doors easier to wipe clean. On this model, both inner panels can be removed completely for even deeper cleaning if required. 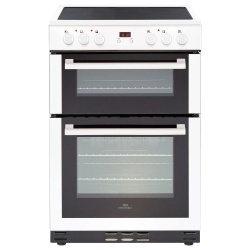 A large capacity oven, a separate grill and a four zone ceramic hob make this cooker ideal for cooking a variety of foods which require different methods. Great for cooking a variety of foods at the same time, you can cook your chips in the oven whilst grilling your chicken or steak in the top cavityfortless. Save money on your bills with this electric cooker's high A energy rating. 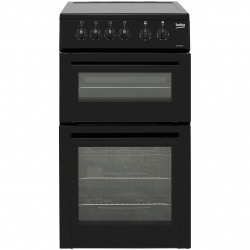 Its fan main oven and conventional top oven with integrated grill offer great cooking flexibility. And, the easy-clean ceramic hob comes with four Rapidlite zones that will quickly and efficiently reach their highest temperature. If you'd like your pan to heat up faster, the ceramic hobs are made up of four Rapidlite zones that can quickly and efficiently reach their highest temperature. The smooth surface is easy to wipe clean after use, and the large 60cm cooking area gives you plenty of room for cooking with bigger pots and pans. 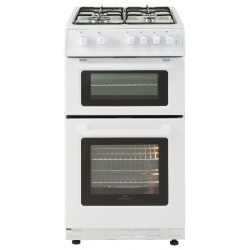 60cm gas oven with separate grill offers 4 gas burners, enamel pan supports & easy clean enamel. A energy rating. 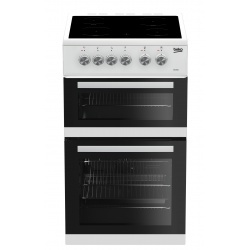 60cm gas oven with separate grill offers 4 gas burners, enamel pan supports, minute minder & easy clean enamel. A energy rating. The picture above is not original and is for illustrative purpose only.